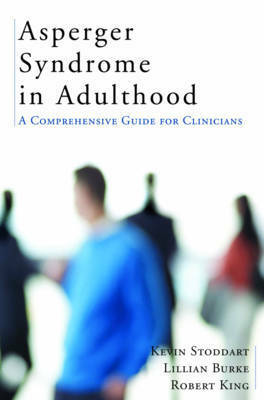 A thorough overview of Asperger syndrome for mental health professionals. Interest in Asperger syndrome is on the rise, but it has been examined almost exclusively in children and adolescents. Here, three leading researchers provide an overview of the relevant issues in adults including diagnosis, co-morbid psychiatric conditions, psychosocial issues, and appropriate interventions, from psychotherapy to psychopharmacology. Lillian Burke, PhD, is a psychologist based in Ontario. She lives in Blenheim, Ontario. Robert King, MD, is a consultant psychiatrist for Kerry's Place. He lives in Brockville, Ontario. Kevin Stoddart, PhD, is a lecturer in social work at the University of Toronto. He lives in Toronto, Ontario.